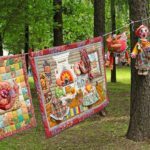 Russia is a leader in the world in the number of trees. On the surface of the earth grow about 3 trillion trees, of which about 640 billion – in Russia. According to environmentalists, it is an absolute record. The leadership in the number of trees keeps Siberia and the Far East, to be more precise. Then follow Canada and Brazil, and each with approximately 300 billion trees. Also, the top ten greenest countries include the US, China, Congo, Indonesia, Australia, Bolivia, and Mexico. Now, back to Russia. 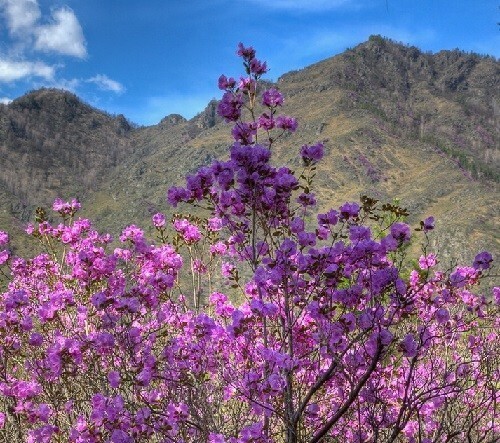 In the Altai Mountains of Russia blossoms Rhododendron Ledebour (lat. ), also known as the Siberian maralnik, or rosemary. 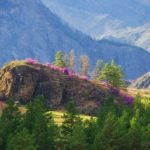 The picturesque slopes of the mountains as if painted lilac-pink color, acquiring even more colorful look in autumn, when the plant can re-bloom. 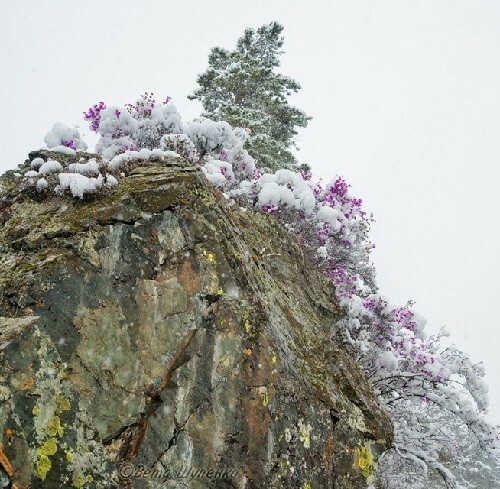 In May, when the slopes are covered with dense undergrowth, a carpet of lilac flowers of maralnik becomes the main attraction of the Altai Mountains. 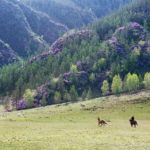 Flowering maralnik in recent years has become an occasion to “event tourism” in the Altai Mountains. Sometimes maralnik blooms earlier than usually when the snow has not melted yet. 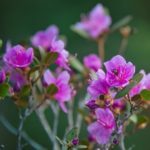 Among the locals there is a sign: maralnik flowers – spring finally has come to Altai. In winter, maralnik, semi-evergreen shrub, “twists” the leaves, because of what they are like pine needles. If in February you put twigs into the water, after two or three weeks they will have the first flowers. Sometimes the plant can re-bloom in late summer or early fall. 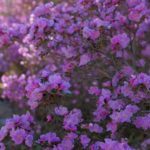 Maralnik is unpretentious, and so easy to grow on rocks where not every plant can survive. 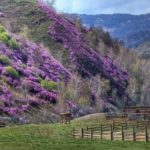 Its flowering can be admired in Maiminsky and Chemalsky areas, but most of rhododendron – in Ongudaisky district of the Altai Republic. 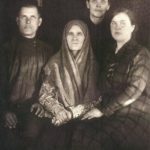 Although maralnik is not listed in the Red Book, but it is known that in recent years the population of this species in Russia has been markedly reduced. 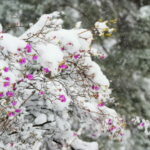 This is facilitated by economic use of land, changing the natural landscape, as well as the fact that the flowering season actively breaks off its branches. 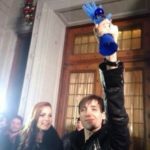 Maralnik has medicinal properties. Medicinal are considered leaves of the second and third year of life, during the flowering of plants. They are neatly cut, very quickly dried in a warm room or in warm ovens. 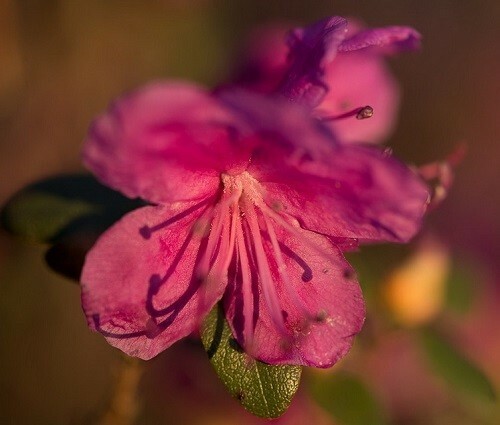 In folk medicine, rhododendron used to treat high blood pressure, gastrointestinal diseases, colds, rheumatism, as a powerful healing and anti-inflammatory. Baths from its broth helps with radiculitis, arthritis, gout, neuralgia and other pains. 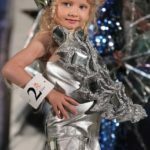 On the other hand, maralnik is toxic, and this explains why it is not eaten by a goat, cow or wild animals that are constantly feeding on the mountain slopes. Its toxicity requires careful observance of the proportions in the preparation of medicines. Poisonous can be even honey collected from flowers of maralnik. The nectar of the flowers collected by bees in large numbers, is routine – harmless substances involved in the formation of vitamins K. It favors blood clotting and prevents bleeding. However, in the process of maturation of honey, chemical reactions occur, resulting in the first split of routines, and then connected with other substances in the nectar and turns poisonous mellitoxin. This substance makes honey toxic. Beekeepers call it “drunk” honey and prefer to keep their hive farther from the blossoming maralnik. It can poison bee and cause dizziness and nausea in humans. However, when heated honey toxin cleaved and such a product could be used as supplements to meals. Unlike the leaves containing toxic carcinogen, flower petals – the most harmless of the maralnik. They have a pleasant sweet taste and contain fructose, volatile, traces of resins, essential oils, vitamins C, E and A. From petals prepare salads. One of the most common recipes require 50 grams of petals, a tablespoon of sour cream and a teaspoon of honey. The petals are collected in the morning, slightly rinsed with water, chopped and dressed with sour cream and honey. Widely known “cult” of sakura in Japan attracts tourists to the country. 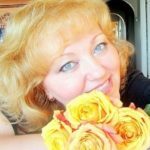 Something like that happens with maralnik in Russia. 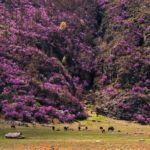 Tourists pay attention to its picturesque flowering, and local travel agencies are thinking about the organization of the respective tours. 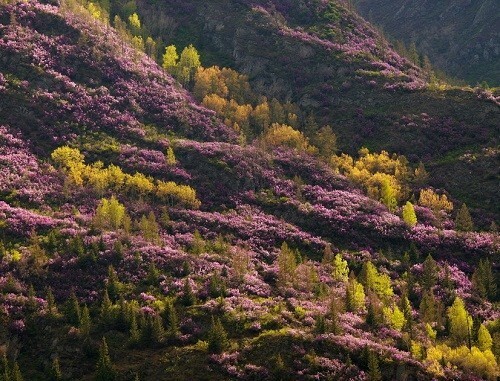 There are ideas and the leadership of Karakol Nature Park “Uch Enmek” where rhododendron grows especially abundant. 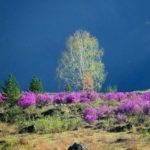 In the neighboring Altai region in 2013 for the first time was “The Feast of flowering maralnik.” The participants held a special ritual, planted seedlings of rhododendron. 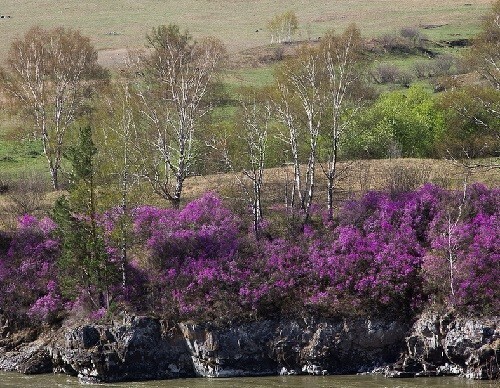 Residents of the Republic of Altai hope that the “Day of maralnik blossom” will become annual. 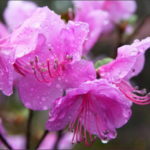 Rhododendron Ledebour – evergreen shrub up to 1.5 m, is used as an ornamental garden plant. The branches of this plant are sold in the winter in Russia under the name “rosemary” for growing at home. The plant bears the name of Karl Christian Friedrich von Ledebour (1785-1851), a German botanist in the Russian service, the author of the first comprehensive flora of vascular plants of Russia, a member of the botanical expedition to the Altai.